I was not happy on my first walk around the garden earlier this spring. I found a hole in the back lawn. I think I looked a bit "put off" when I examined this hole, sort of like this pansy which seems to be none-to-happy with the cold nights I've forced it to live through. Anyway, upon closer inspection, I realized the hole had developed where the PVC pipe for the sump pump had broken apart sometime during the winter. I had a similar situation a few years ago and watched how the plumber fixed it, so I decided I could save some money and fix it myself. After a quick trip to the hardware store, I had a flexible joiner-thingie and proceeded to start the repair. The first thing I realized was that the two ends of the pipe didn't really match, were too close together, and too unmovable, so I would have to cut off a bit of each end to make room for the flexible joiner-thingie. I proceeded to cut off the two ends, and decided that the guys I had hired to bury the pipe had probably just butted them up against each other seventeen years ago and never joined them in the first place. Here's what the pipe looked like after I cut off a bit of both ends. While I was digging around the pipe I noticed that there was a big rock just below the surface on the one side. I don't have that many big rocks so decided I would dig it out before completing the repair. I got my spade and began to dig. The rock was a bit bigger than I had anticipated, so it took a bit of digging and prying to dig it up. I dug, I pried, I dug, I pried, and just when I thought the rock had better come out or I was giving up, my shovel hit something that sounded more like metal than rock. At this point, I was getting tired, but the sound of metal on metal gave me a little surge, and I dug down a bit more and was able to remove the rock. It was big, definitely. But worth digging out because there underneath it was a rusted metal box, measuring about six inches wide by 12 inches long. I dug it out and could see that it was about four inches deep. It was heavy to lift out and I assumed it was full of mud or rocks. To my great surprise, when I opened it up, I found what I think was once paper money, now just a pile of gray mush, plus a large handful of coins. Wow. I hadn't expect to find a metal box like this. 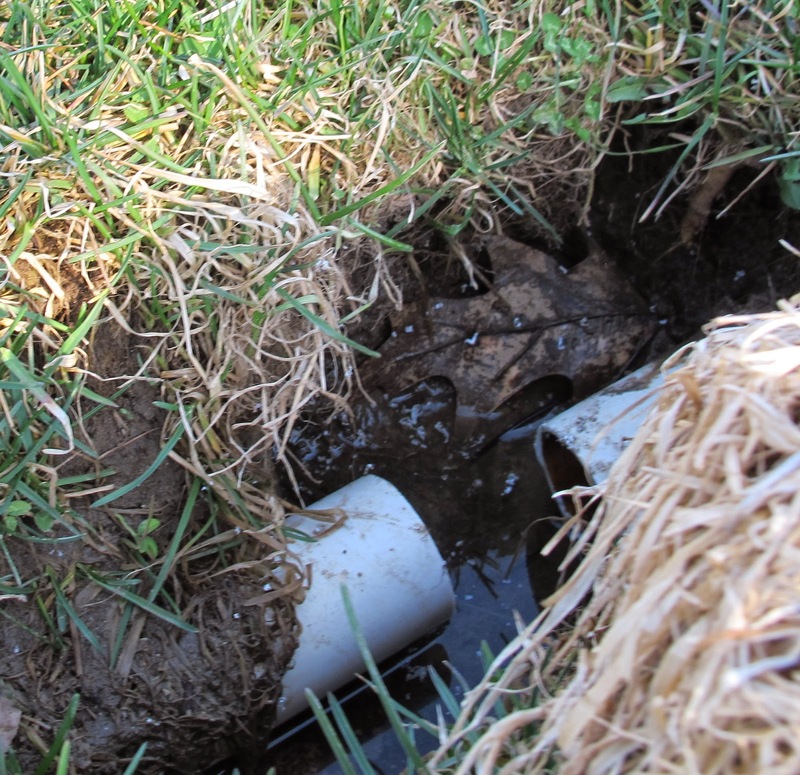 Forget about repairing that sump pump line. I took the box inside, cleaned up all the coins, and sat there for a moment to let it soak in. These were gold coins. I was almost sure of it. I couldn't make out all the dates, but most seemed to be from the 1800's. I've taken the whole lot of coins to an appraiser to find out the value. I haven't decided if they are worth a lot whether I'll sell them or keep them. Decisions! Anyway, the appraiser promised to call me back today, April 1st, to let me know if I am suddenly a rich woman or just a fool who still needs to repair her sump pump line. I hope they're worth 10 million dollars like the ones those folks in California found and then you will be happy to let someone else repair your line! Hahahahaha... Happy April Fools to you too. Wow - that's a real garden adventure! Maybe you should cash them in a use your "found" money on the garden since it held onto it for you all these years!